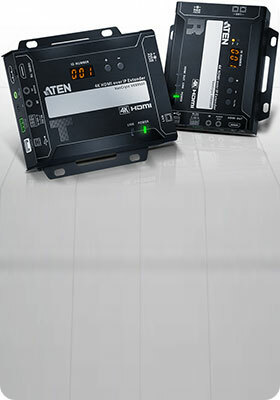 ATEN VE89xx video over IP system delivers visually lossless 4K AV signals with low latency over long distance via a local network of standard Gigabit network switch. 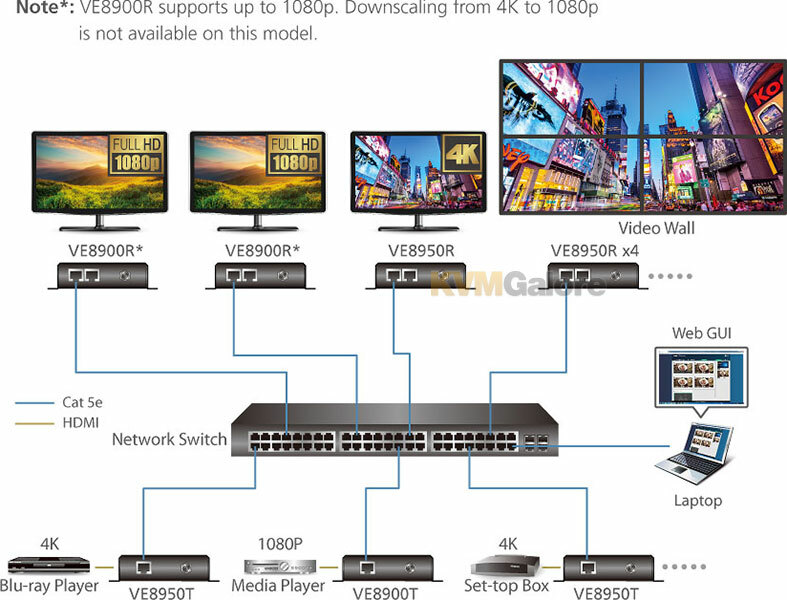 Engineered to meet today's demands of large scale, multi-display, 4K signal transmission, and designed to be easy to set up and operate, VE89xx video over IP system is an ideal product for a wide range of environments, such as trade shows, airports, university campuses, conference centers, and shopping centers. From a simple point-to-point setup, to hundreds of endpoints, VE8950 offers flexibility, scalability and multi-functionality in extender, splitter, matrix switch, and video wall applications. VE8950 allows you to effortlessly switch input sources via top panel pushbuttons/ID display and offers simple configuration that requires no extensive IT experience. Effortlessly manage your AV over IP system by logging in to any system or transmitter from the web GUI. Easily expand your AV network coverage without cable clutter or extra network switches while also lowering per-port costs.